This fabulous sunset gas fire table works great to have drinks and snacks with friends and family, or a delightful romantic firelight dinner with the love of your life. 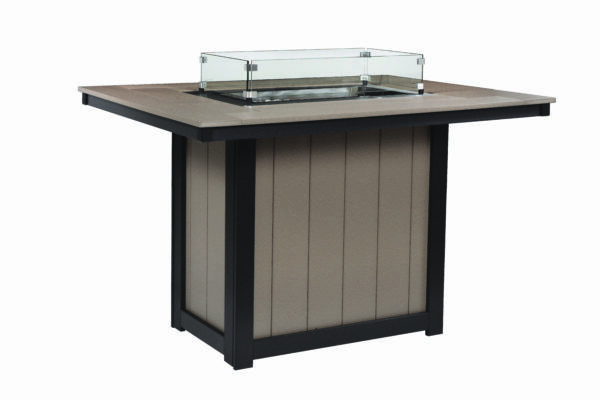 This gas fire table is made from recycled poly lumber and a life time warranty 60,000 btu burner. Comes with Winter cover, wind guard, natural gas and propane hook ups, and your choice of media. We have over 25 different American made gas fire pits on display at the Anoka, Minnesota location.